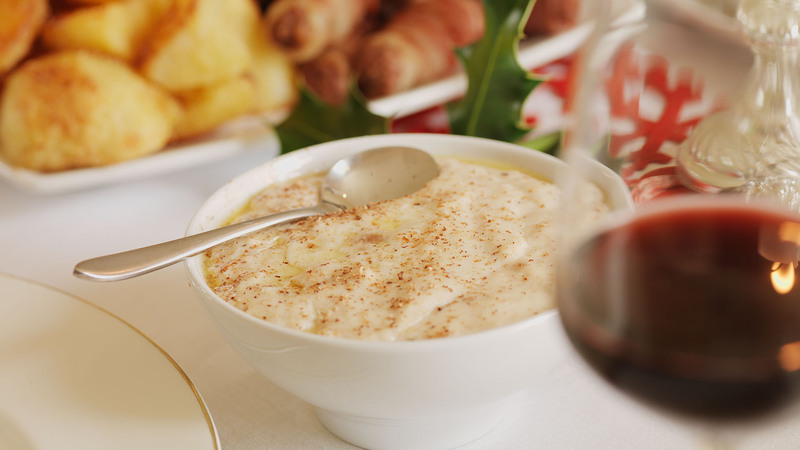 Bread sauce provides an aromatic and creamy accompaniment to your traditional Christmas roast and is easily adapted for a gluten-free diet. Stud the cut side of the onion halves with the cloves and place, cloves down in a medium, heavy bottomed pan. Place the bay leaves, nutmeg, four grinds of black pepper and salt with the milk into the pan and slowly bring the milk to a gentle simmer. Simmer for five minutes then remove from the heat and leave the ingredients to infuse until the milk is cool. Strain the flavoured milk, through a sieve into a clean pan. Gently reheat the milk to a simmer and stir in the breadcrumbs. Stir slowly over a low heat until the breadcrumbs are soft and swollen and have thickened the sauce. The sauce should be creamy in consistency, so add a splash more milk if it is too thick. Just before serving, stir in the butter, taste and season with more salt and freshly ground pepper, as necessary. 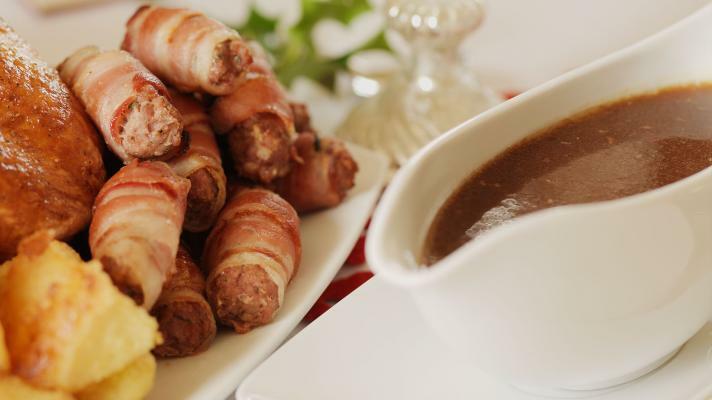 Christmas dinner wouldn't be complete without these family favourites. The perfect gluten-free gravy to go with your Christmas turkey. 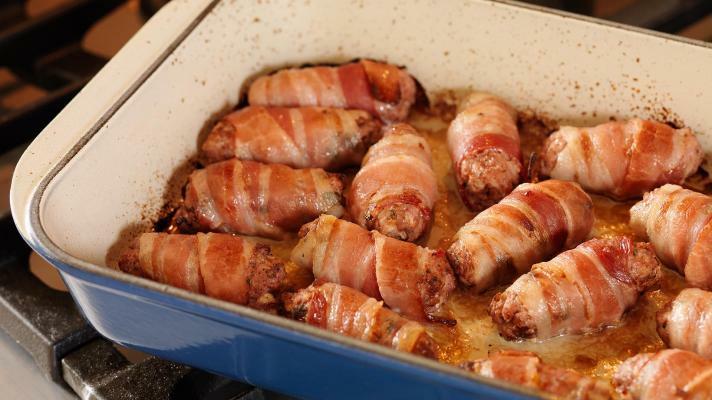 A gluten-free version of Mary Berry's famous christmas stuffing recipe. 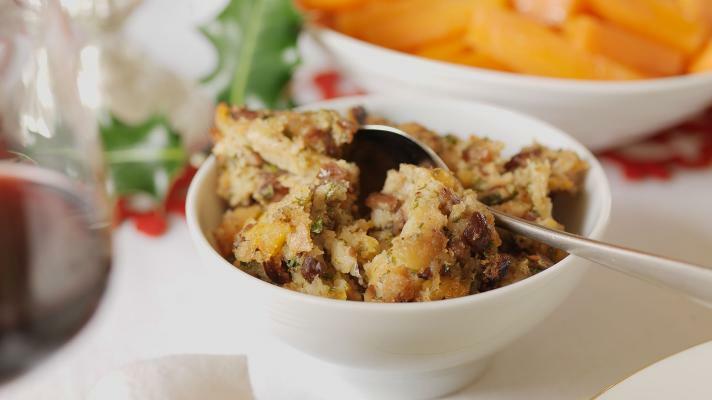 This stuffing is cooked in a separate dish rather than inside the bird, so it becomes deliciously crisp.